If this new "R3" class going to happen, what happens to the R4 kit, and what kind of rules is possible? I really hopes FIA give this a real chance, not strangle it before it even start. It's hard to believe that the FIA will bin the R4 Kit. For now there's just that info on Rally Magazin, which seems too vague. 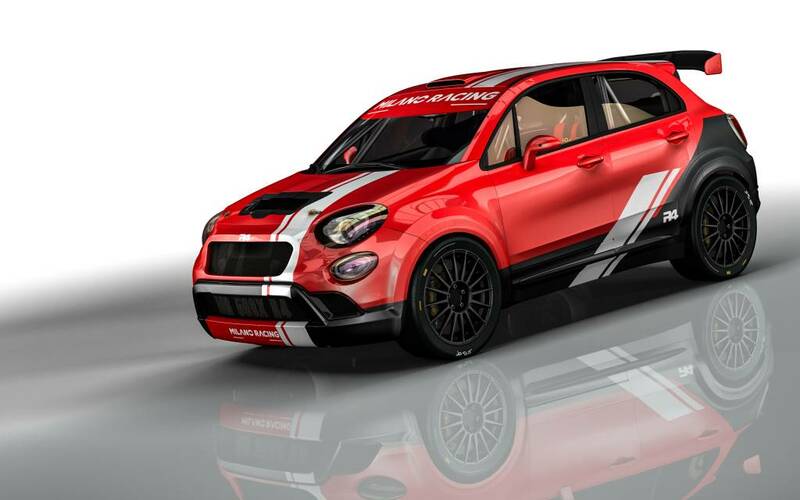 On their fb page, Milano Racing is also saying they’re willing to enter the MR 500X R4 in next year ERC. It’s great to know R4 is still alive; best luck to Milano Racing and their 500X. As I see it, its a good thing that someone dares to go in front and build a car or two, so we can see the R4 kit in action, and then make up our opinion. So far we have only made comments based on cost and what we believe. Compact crossovers are lovely cars to see rally. In America there's a Nissan Juke competing in the open class of many rallies, and it's pretty cool looking, not to mention it doesn't for a moment look ill proportioned. Forme it is ill proportioned. It's way too high. Is it higher than quite good Suzuki Ignis S1600 was ? Looks very high to me too. It does look high (and quite ugly). I read that road 500X is 4 cm higher than road Mini Countryman.